an organ recitalist of international reputation and a distinguished composer, has concertized in most European countries including appearances in Stockholm, Helsinki, Warsaw, London, Hamburg (Great Music Hall), Berlin, Munich, Paris (Notre Dame), Prag and Basel and at International Festivals in Kristiansand (Norway), Sorö (Denmark), Toulon (France) and Madrid (Spain). He has performed an historical organs by Arp Schnitger, Gottfried Silbermann, Andreas Silbermann and Karl Joseph Riepp, and he has made four concert tours to the United States, where he also held master classes. Mr. Mencke is a frequent guest on radio (Germany, Finland, Poland, USA), and he has made three recordings. For his masterful organ playing, he was praised highly by the international press (Die Welt, Frankfurter Allgemeine, Helsinki Hufvudsstadsbladet, Luzerner Neueste Nachrichten, New York Times). Herfried Mencke was born in Poznan, Poland, in 1944. After the Second World War his family settled in Lüneburg (Germany), where he first experienced church music as a singer in the boys-choir of the famous St. John's. Following his graduation (Abitur) from the Johanneum in Lüneburg he studied at the State College of Music (Musikhochschule) in Hamburg and qualified as a music teacher. 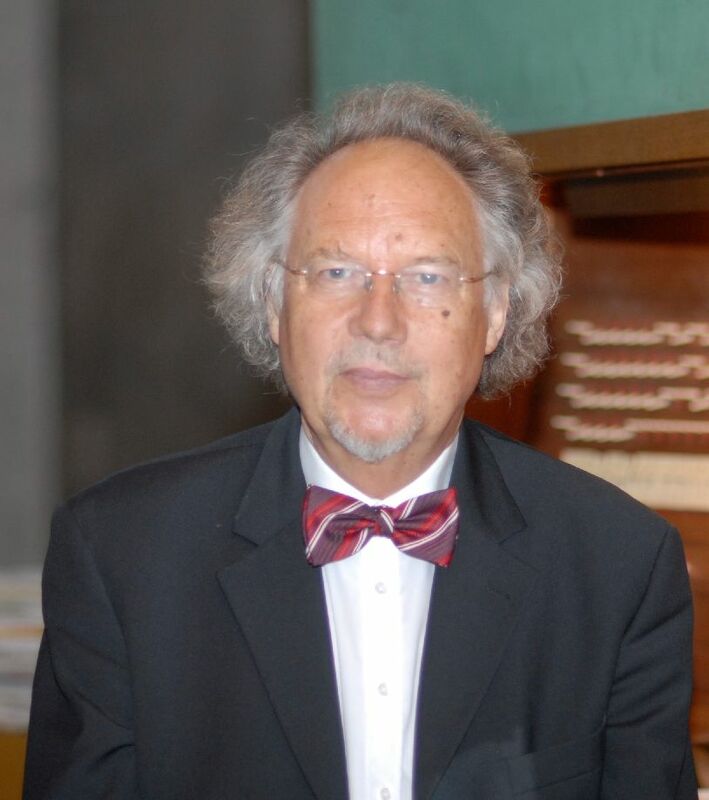 In 1970 he obtained a degree in liturgical music (A-­Prüfung für Kantoren und Organisten), and in 1973 he was awarded the Diploma for Concert Artists (Konzertexamen) with distinction. He has studied organ with Prof. M.G.Förstemann and Prof. Gaston Litaize, choir-conducting with Ulrich Baudach and Wilhelm Ehmann and composition with Hans Poser and Diether de la Mote. He is Director of music and organist at the Petruskirche in Giessen and lecturer in organ at the University. His compositions (motets and works for organ) have been performed in numerous churches throughout Europe and the USA.